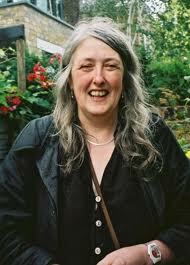 Labour Rose is running a poll for our Women of 2012. All the women featured have been nominated by Labour Rose readers. You can vote for up to three women in the poll. All the women nominated have inspired throughout the year. Click more to read about the nominations. When asked to consider who I thought the most inspirational woman was, the first name to pop into my head was Michelle Obama – First Lady of the United States of America. I’m sure that other contributions will argue that X, Y or Z should win (and I’m sure they’re great women) because in 1992 they did this or because in 2004 they campaigned for that. However, I’m nominating Michelle Obama because she has those most rare of qualities – she exudes dignity, charisma, warmth and graciousness. These qualities become all the more exceptional when one considers what her and her family has had to endure, since her husband became president of the United States. They’ve been branded terrorists, their nationality is regularly questioned and so too their religion. This – what can only be described as a smear campaign – has been led by the Right, as a cynical attempt to undermine President Obama’s liberal political agenda. It often occurs to me that, in politics, one must expect to face hostility from abroad, but to face it from home, and with such frequent vitriol, must be quite upsetting and demoralizing. Despite this, though, Michelle Obama is constantly positive and optimistic. In addition, she’s a formidable campaigner, in her own right, promoting diversity and equality in education and highlighting the need for children to eat healthily and get exercise. And she isn’t from a privileged background, either. As a child, living at home, her parents rented an apartment off of her aunt, who lived in the basement. Furthermore, when Michelle Obama went to Princeton, she was shocked by how many of the students had BMWs, as she didn’t know any adults who drove one. However, coming from a modest background has not stopped Michelle Obama being a high achiever, and this is another reason why I think she deserves to win. On graduating from Princeton she then progressed to Harvard Law School, where she earned her Juris Doctor (J.D.). After this, she then secured a job with law firm, Sidley Austin, where she met Barack. Whilst achieving all this, Michelle Obama never forgot her principles, though. At Harvard she partook in demonstrations, demanding that more lecturers from minority backgrounds were appointed. In addition, she also worked for the Harvard Legal Aid Bureau, which assisted low income tenants with housing cases. Therefore, I think Michelle Obama should win because she combines integrity, aspiration, achievement and the principles of equality. She inspires me, because her example proves that despite how cynical, tribal and divisive politics can become, it is also an arena in which people like her, and us, can succeed. 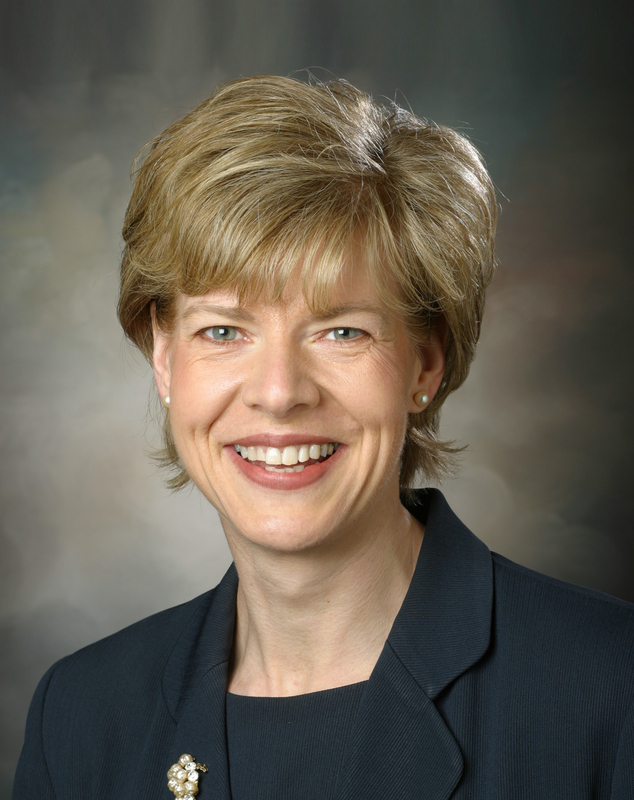 Tammy Baldwin is the senator-elect from Wisconsin. A Democrat, Baldwin will in January become the first openly gay member of the US Senate; she will join 19 other women in the largest female contingent in Senate history. Baldwin has blazed a trail throughout her political career: in 1998 she became both the first woman elected to Congress from Wisconsin and the first openly gay non-incumbent elected to the House of Representatives. But the Senate has long been a men’s club: even when the five new women are sworn in, only 44 women will ever have served there. This was an election cycle when some men claimed to know more about the workings of women’s bodies than most women, and when LGBT equality finally won at the ballot box. The election of a record number of women, and of Baldwin in particular, may just indicate a new maturity amongst US voters towards gender and sexuality which all on the left will welcome. is a TV presenter, journalist and retired amateur jockey. She currently presents for BBC Sport and Channel 4. A cause very close to our hearts! The Royal Marines Charitable Trust Fund is the overarching Royal Marine Charity run by Royal Marines for Royal Marines. It works for Royal Marines both during and after their service, providing help and support to them and their families in difficult times. They also donate to numerous military charities including SSAFA; St Dunstan’s; Combat Stress; BLESMA; RN/RM Children’s Fund. 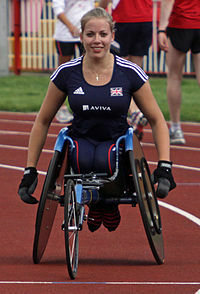 Hannah Lucy Cockroft is a British wheelchair athlete specialising in sprint distances in the T34 classification. She holds the Paralympic and world records for both the 100 metres T34 and 200 metres T34.Competing for Great Britain at the 2012 Summer Paralympics, she won two gold medals. Lawless is a member of the board of trustees of the StarShip Foundation, the charity arm of the Starship Children’s Health (hospital) which is part of the Auckland District Health Board. It is set up to provide additional equipment, support and help to staff, patients and families.She devotes much time and energy to fundraising for the organisation. She recently sat for the New Zealand television seriesThe Sitting, an arts series where celebrity portraits are produced during an interview session with the portraits later auctioned for charity. Lucy attended the auction where her portrait fetched the top price, with the whole event raising $39,000 for Starship. Lawless has often raised money for concerts and events, donates part of her salary in favour of the institution, and has sold some Xena costumes to contribute funds. In mid February 2012, Lucy sang at New Zealander Of The Year donating her appearance fee to the Starship Foundation. Friday 21 September is “Lucy Lawless Feel the Love Day.” The day, organised by the Official Lucy Lawless Fan Club, begins a week of charitable acts and donations by fans in honour and support of Lucy. 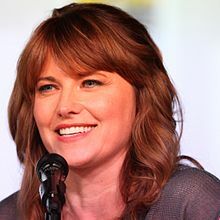 In May 2009, Lucy Lawless became a ‘climate ambassador’ for the Greenpeace ‘Sign On’ campaign. (Pashto: ملاله یوسفزۍ‎ Malālah Yūsafzay, born 12 July 1997) is a school student and education activist from the town of Mingora in the Swat District of Pakistan’s Khyber Pakhtunkhwa province. She is known for her education and women’s rights activism in the Swat Valley, where the Taliban had at times banned girls from attending school. 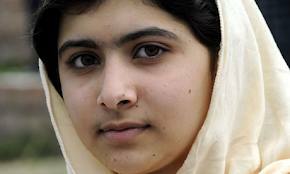 In early 2009, at the age of 11/12, Yousafzai wrote a blog under a pseudonym for the BBC detailing her life under Taliban rule, their attempts to take control of the valley, and her views on promoting education for girls.The following summer, a New York Times documentary was filmed about her life as the Pakistani military intervened in the region, culminating in the Second Battle of Swat.Yousafzai began to rise in prominence, giving interviews in print and on television and taking a position as chairperson of the District Child Assembly Swat.She has since been nominated for the International Children’s Peace Prize by Desmond Tutu and has won Pakistan’s first National Youth Peace Prize.P A number of prominent individuals, including the Canadian Minister of Citizenship, are supporting a petition to nominate Yousafzai for the Nobel Peace Prize. 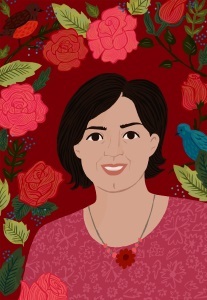 On 9 October 2012, Yousafzai was shot in the head and neck in an assassination attempt by Taliban gunmen while returning home on a school bus.In the days immediately following the attack, she remained unconscious and in critical condition, but later her condition improved enough for her to be sent to a hospital in the United Kingdom for intensive rehabilitation. On 12 October, a group of 50 Islamic clerics in Pakistan issued a fatwā against those who tried to kill her,but the Taliban reiterated its intent to kill Yousafzai and her father, Ziauddin. Former British Prime Minister and current UN Special Envoy for Global Education Gordon Brown launched a United Nations petition in Yousafzai’s name, using the slogan “I am Malala” and demanding that all children worldwide be in school by the end of 2015. Brown said he would hand the petition to Pakistan’s President Asif Ali Zardari in November. UN secretary general Ban Ki-Moon has announced that 10 November will be celebrated as Malala Day. 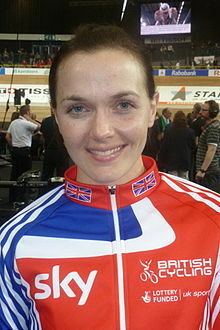 Victoria Louise Pendleton, MBE (born 24 September 1980) is a British former track cyclist who specialised in the sprint, team sprint and keirin disciplines. 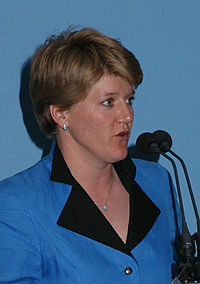 Pendleton represented Great Britain and England in international competition, winning nine world titles including a record six in the individual sprint competition. Pendleton is the reigning World champion for the sprint, and a former Olympic, European and Commonwealth champion. In 2012 she won the gold medal in the keirin at the 2012 Summer Olympics, as well as silver in the sprint. Who fought bowel cancer with dignity, courage and strength. Now at peace. A true inspiration. It’s our 25th Anniversary and we need your help to stop people dying needlessly from bowel cancer. Jessica Ennis, MBE is a British track and field athlete specialising in multi-eventing disciplines and 100 metres hurdles. 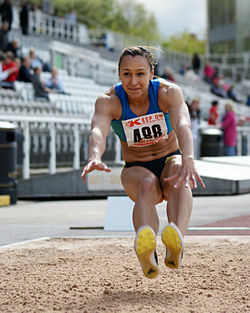 A member of the City of Sheffield Athletic Club, she is the current Olympic heptathlon champion. She is also the former European and world heptathlon champion and the former world indoor pentathlon champion. She is the current British national record holder for the heptathlon, the indoor pentathlon, the high jump and the 100 metres hurdles. Charlotte Maria Church is a Welsh singer-songwriter, actress and television presenter. Also campaigner for Hacked Off campaign. Hillary Diane Rodham Clinton is the 67th United States Secretary of State, serving in the administration of PresidentBarack Obama. She was a United States Senator for New York from 2001 to 2009. As the wife of the 42nd President of the United States, Bill Clinton, she was the First Lady of the United States from 1993 to 2001. In the 2008 election, Clinton was a leading candidate for the Democratic presidential nomination. In 1994, as First Lady of the United States, her major initiative, the Clinton health care plan, failed to gain approval from the U.S. Congress. 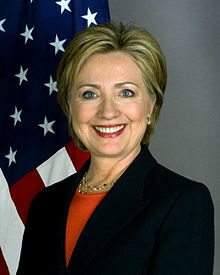 However, in 1997 and 1999, Clinton played a role in advocating the creation of the State Children’s Health Insurance Program, the Adoption and Safe Families Act, and the Foster Care Independence Act. Clinton became the first former First Lady to serve in a president’s cabinet. he has put into place institutional changes seeking to maximize departmental effectiveness and promote the empowerment of women worldwide, and has set records for most-traveled secretary for time in office. She has been at the forefront of the U.S. response to the Arab Spring, including advocating for the military intervention in Libya. She has used “smart power” as the strategy for asserting U.S. leadership and values in the world and has championed the use of social media in getting the U.S. message out.